Scottish born Allan is a British racing driver, three time winner of Le Mans and also three time winner of the American Le Mans Series. 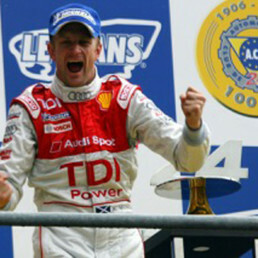 If this wasn’t enough he also won the FIA world endurance championship. Allan is truly a remarkable man with a remarkable personality to match; it is understandable why his fan base just keeps growing.